Hey there! 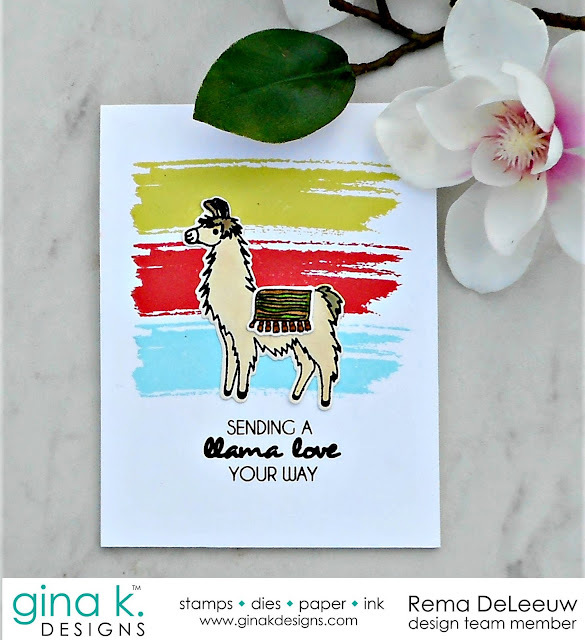 It's day 2 of the Gina K. Design May 2018 blog hop and today we have two new sets by our newest illustrator Hannah Schroepfer, Sending A Llama Love and Stuck on You. 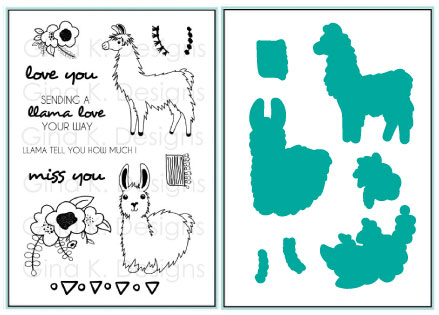 I love the images and sentiments that these two sets have to offer and those llamas are just too adorable! Im loving your artsy fartsy background you created! Gorgeous llama especially! I love what you did behind the scenes. Really makes the images POP!!! I really like the clean look of these two cards. Simple but elegant. 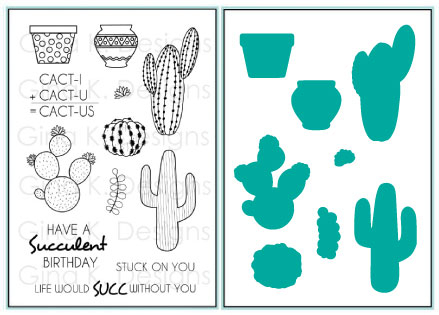 I love the cactus card! Awesome cards. Love the two backgrounds. Thanks for sharing and inspiring us. I love the backgrounds on both of these pretty cards! Love your cards! Awesome designs! I love both of your cards. The backgrounds you created are fabulous. Both cards are pretty! I like how you did them! Love, love, love your back grounds with these stamps. Thank you. Love both your cards ... but especially the llama stamp with the awesome background! Love the backgrounds on both cards. Very nice cards! WOW! Love these cards. Just stunning! Love your cards and this llama. So cute and fun! I forget about that Tiny Textures stamp. Its a perfect background for the llama. Love your cacti card!!! Super backgrounds on these beautiful cards! Fantastic cards! Love the pops of bright color. Wonderful designs, clean and fresh. Very nice cards!! Great colors! Both cards are really amazing. watercolor splash so cool, what a great idea!! Awesome cards, Love the backgrounds... GJ TFS! Fun cards. I really like the line art cactus over the pretty background. Nice cards. I really like the homemade backgrounds! PERFECT background for the llama card!!! Your cards are so pretty...very simple but very pretty!! Beautiful designs showing off these wonderful stamps. I love them all. I am truly inspired by them. Totally awesome background for your llama! Great cards!!! Love the background on the llama card!!! 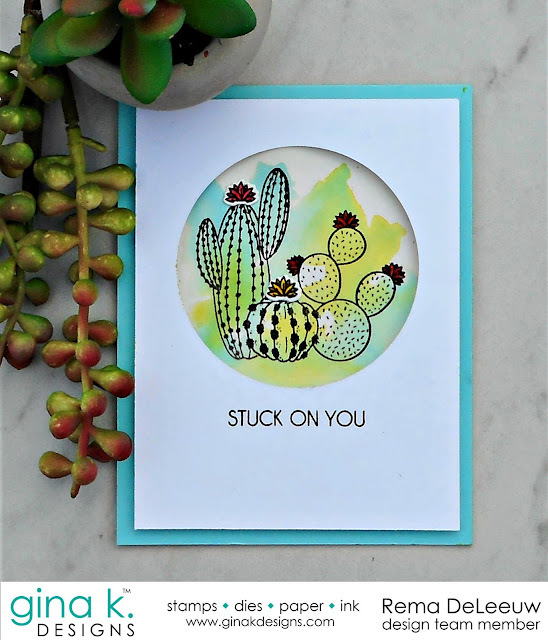 Your cards are so nice and simple yet the color pops out at you, love them! super cute cards! love your backgrounds! love these cards - the scribbly backgrounds are very inspiring!!! I love that your cards are nice and simple. Great when I don't have much time to create. Love both your cards Rema! Really love how these turned out! Especially the second one- very artsy and creative looking background! Nice cards. I like the cactus background. So easy but beautiful effect. I love both of these cards -- very unique and beautiful. well I hope your stuck on me too bad, great card! Your card layouts and colors are beautiful. Great cards and designs. Love the backgrounds you created. Wonderful cards, especially like your backgrounds. Fun cards with great backgrounds. Your style always impresses me! Love the three stripes of color! You rocked the background category on this fashion show! Fabulous cards all around. Great backgrounds! Excellent color choices! AWESOME Cards! So cute. I like the colorful backgrounds. What fun backgrounds! I think I could actually recreate those! :) Pretty cards!! Super cute. I just love the watercoloring. Really great cards. I love the llama card. Very nice, love your colors. I love these cards. Your coloring is great. This is a wonderful release. Your cards are lovely. I am especially taken with the way you do backgrounds. Cute cute cute..very nice work. Nice cards. I like how the circle is a window to the design. Simple and yet stands out. I love the backgrounds! Such cute samples! Wow I love the way you swiped ink on the first card... It's so striking! Great cards! Rema, gorgeous cards as always....love them both! Adorable adorable adorable. Thanks for sharing your creativity.